August 25, 2011, LG Crabo. 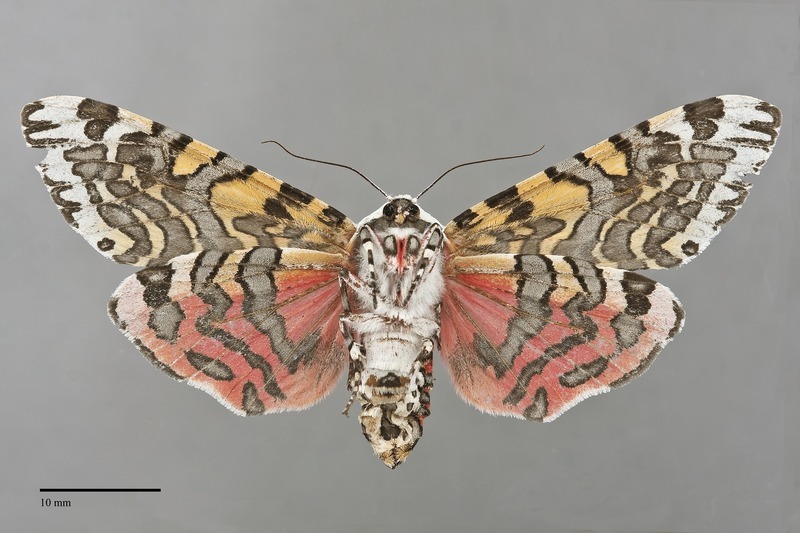 Arachnis citra is an attractive large tiger moth (FW length 22–30 mm) with striped white to cream and gray forewings and spotted pink hindwing and abdomen that is flies in eastern Idaho and flies during the summer. The forewing is fairly long. The ground color in Pacific populations is white—cream elsewhere in its range— traversed by multiple wavy double lines, black filled with light gray, producing a moiré pattern. The lines are interrupted by several white veins. 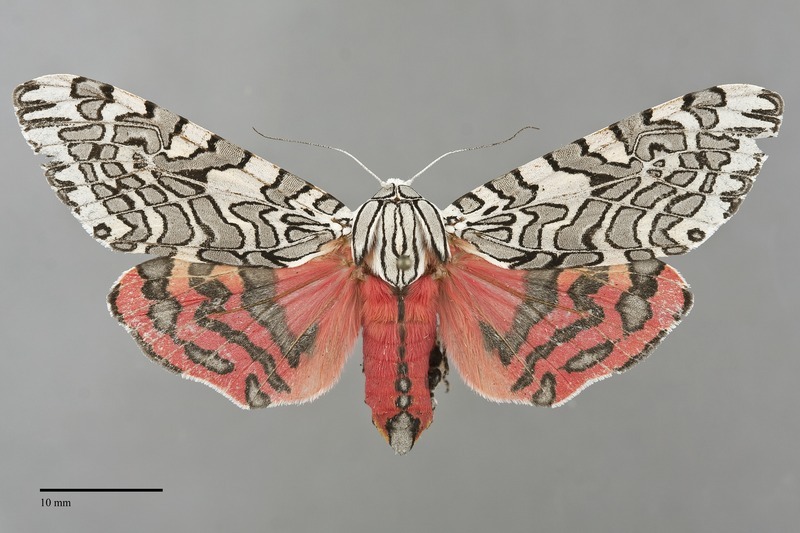 The hindwing is predominantly translucent dark pink, pale anteriorly, similar gray lines as on the forewing. 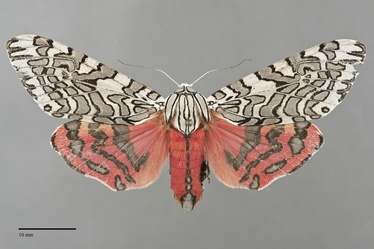 The white thorax is striped with black and gray similar to the forewings, while the abdomen is red with a pale tip and black and gray longitudinal stripes. The simple antennae are white. 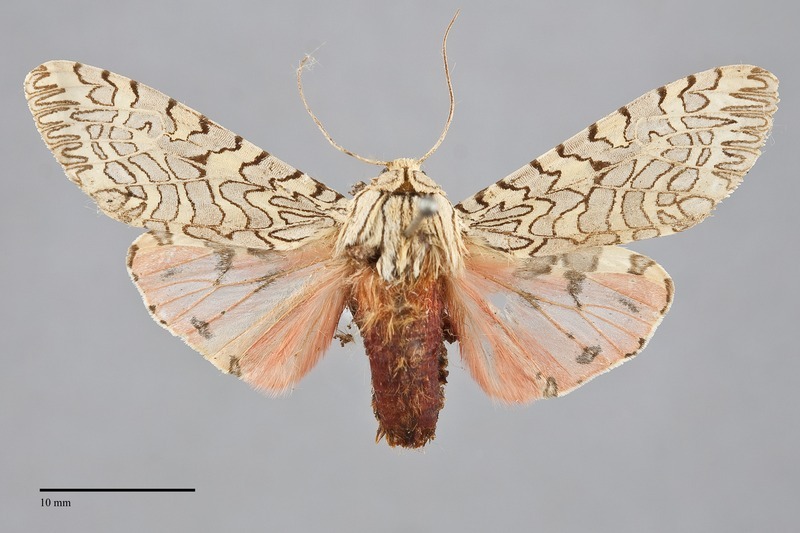 Females are larger than males and have broader and more continuous lines on the hindwing. 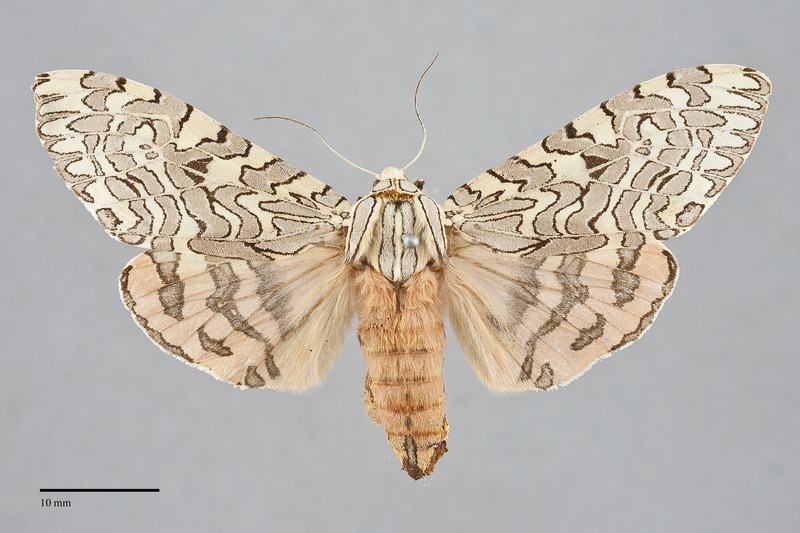 This species can be identified by its eastern Idaho distribution, large size, striped white and light gray forewings, and pink hindwings. 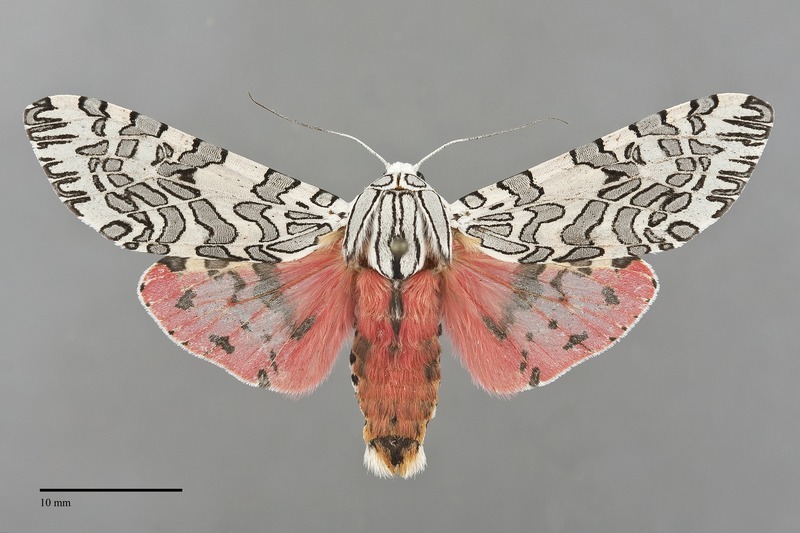 It is unlikely to be confused with any other tiger moth in our area. 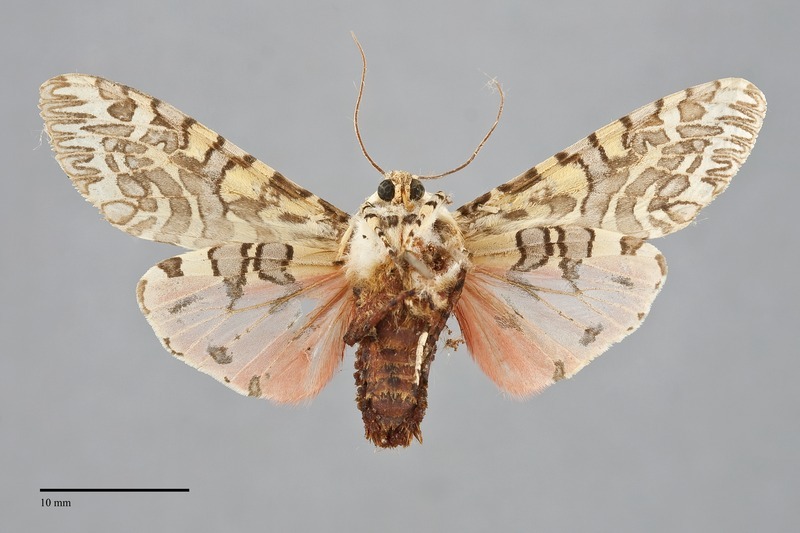 The Idaho populations of A. citra resemble Arachnis picta, a moth that flies south of the Great Basin. 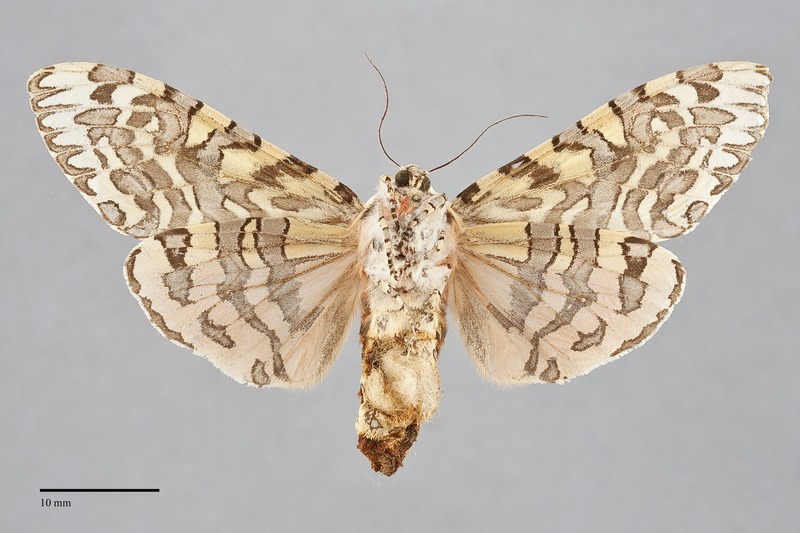 According to Chris Schmidt (personal communication 2012) our populations are assigned correctly to A. citra, and differ from A. picta by the wider pale areas on the forewing and differences in the mitochondrial DNA. This species is widely distributed across the central Great Basin in low elevation habitats. It flies in open juniper forest in south-central Idaho. Arachnis citra is only known from southeastern Idaho in the Pacific Northwest. This is a species of the intermountain west. Its range includes western Colorado, northern Arizona, and most of Utah and Nevada. 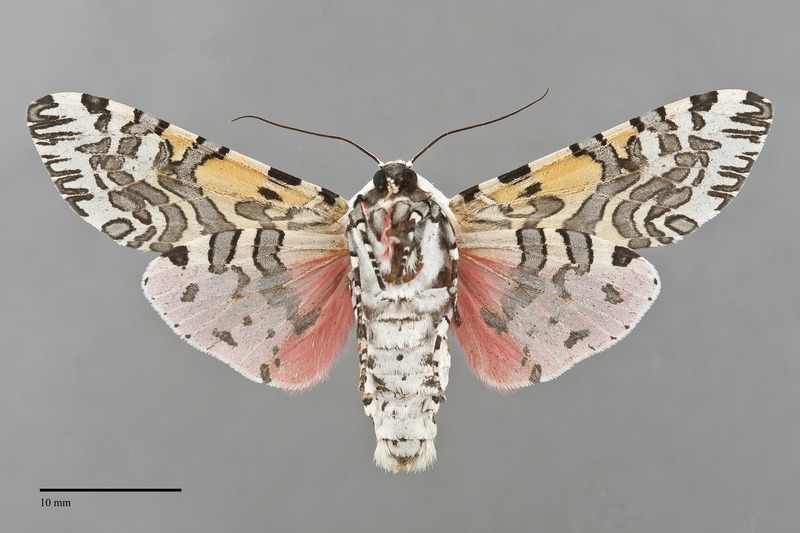 No information is presently available regarding larval foodplants for this species, but it probably feeds on general herbaceous vegetation like the closely related A. picta, particularly legumes such as lupines (Lupinus spp.). Adults occur in late summer to early fall. They are nocturnal and come to light.